Come build a meditation community at the San Luis Obispo Botanical Garden, EVERY Tuesday morning from 11:30AM - 12:15PM. Meditation instructor, Dawn Feuerberg will de-mystify meditation with clear, concise, and practical guidance. Dawn will begin each class with breath work to calm the nervous system. She will then guide you through classic mindfulness meditation techniques for 20 minutes to bring balanced relaxation, restore your energy, improve well-being and clear the mind. Mantra Practice will be offered to experience more depth & increase focus. Dharma Talks will be interwoven on the underlying principles of meditation, the power of gratitude, bliss consciousness, and developing a daily practice that supports you wherever you are. Drop-in sessions are $10 Garden Members, $15 public. Contact education@slobg.org for more information. 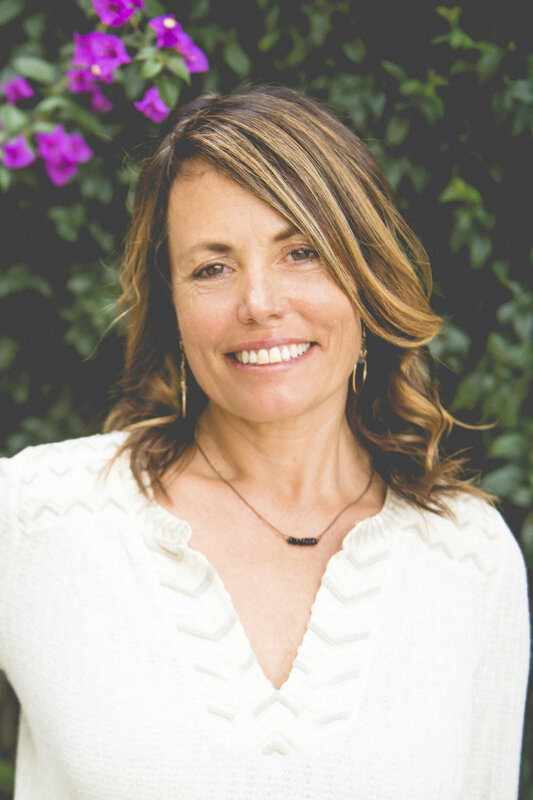 Dawn Feuerberg is a meditation guide, a Spanish professor, a mother, a nature enthusiast, a surfer, a yoga practitioner of 28 years and the owner of Aurora Adventures LLC. She offers guided meditations in a relaxed and open atmosphere for all levels so that your personal practice can be used as a framework for practical life change. She has studied mindfulness meditation, goddess energy meditation, non-dual tantra meditation & shamanic rituals for the past decade and has completed several teacher trainings with mindfulness meditation teacher Mark Coleman of Spirit Rock and the highly regarded teacher of spiritual tantra philosophy, Sally Kempton. Guided Family Hike: Acorn Adventures! Come play and explore in the Children’s Garden at the San Luis Obispo Botanical Garden, then enjoy a breezy hike with your children along our Discovery Trail! Join Nature Explorers on Fridays, from 12:30PM-2:30PM in the Children’s Garden, and exploring the surrounding areas at San Luis Obispo Botanical Garden. Engage in nature observation, and learn from our plant and wildlife friends, and share your imagination through story telling! Lots of fun activities and discoveries ahead of us! Great for kids 3 years old and older. Please meet in the Children’s Garden. Please bring a picnic lunch or snack if desired. Walk and talk with Eve Vigil in the Botanical Garden each month on the first Tuesday from 11 AM to 12 PM. Subjects may touch on the Garden’s history, what’s in bloom, important maintenance – when and why – or whatever interests the group. Have you ever wondered how the garden beds were initially prepared, what the irrigation schedule is or pretty much anything about any of the plants? Well, come on out and ask Eve! Meet new people and learn great tips and tricks for having a stunning water-frugal garden. Free garden tour. No need to RSVP, just show up and enjoy! Enjoy live music all weekend throughout the park and special events taking place in the Garden’s beautiful straw-bale Oak Glen Pavilion. Stay tuned for more event information! Visit www.liveoakfest.org for event updates and tickets. Enjoy the following Garden Events during the Festival! At the San Luis Obispo Botanical Garden, it’s always ‘Happy Hour,’ but this Live Oak we invite you to enjoy a docent-led BYOB tour of the Garden. Drink in hardy horticulture, herbal history, and helpful hints at this one hour jaunt through the Garden. Meet at the Festival’s Art Walk located at the Garden’s Gift Shop on Friday at 5:00pm, Saturday at 3:30pm, and/or Sunday 2:00pm. Suggested donation $5. Pre-registration and payment appreciated. Peace, Love and Dirt y’all. At the San Luis Obispo Botanical Garden, we love nature so much, we wear it! Join us as we create "Nature Crowns.” These fun, temporal, compostable, and decorative head adornments show off your “au natural” style. Great for kids aged 5 to 105! Join us in the San Luis Obispo Botanical Garden Friday from 5:00pm-5:30pm, Saturday at 3:30pm-4:30pm, and/or Sunday 2:00pm-3:00pm. Suggested donation $5. The San Luis Obispo Botanical Garden is the Gem of the Morros. We are a one-of-a-kind non-profit garden dedicated to honoring and preserving our connection with nature, and we’re celebrating our 30th year of sowing seeds and growing together. We’re passionate about connecting people with the plants that have shaped human endeavors and cultures for generations. Our Preview Garden is a great place to see the exquisite plant life of the five major mediterranean climate zones while our nursery sells these same beautiful, drought tolerant plants. The San Luis Obispo Botanical Garden and its facilities are dedicated to the education, research, and celebration of horticulture, and sustainability is our highest priority! The Oak Glen Pavilion combines art and sustainability, a perfect rental space to host your special events among the gorgeous botanical scenery! The current gardens and facilities cover six of the 150 acres that will be developed in years to come. Our award-winning design features plans for 50 miles of paved trails, cafes, and more gardens! We are privately funded and rely entirely on the generosity of our visitors, donors, and members. Become a Garden Member to receive benefits like 10% off all plants in our nursery! Perfect for our annual Spring Plant Sale in March and Fall Plant Sale in October! Our magnificent San Luis Obispo Botanical Garden is open during daylight hours, ADA compliant, and a unique attraction for kids and adults alike. We invite you to join us in celebrating our 30th anniversary with the incredible diversity of plant life at our truly one of a kind garden! The Oak Glen Pavilion, is straw-bale construction that artfully blends sustainability and function. This beautiful space (complete with commercial kitchen) provides audience style seating for 150, dinner seating for 96, or as many as 200 for cocktails and appetizers. San Luis Obispo Botanical Garden is pleased to welcome back Jessica Griffiths of the Morro Coast Audubon Society for a birding walk through the San Luis Obispo Botanical Garden and the surrounding environs including El Chorro Regional Park, Dairy Creek, the Bluebird Trail, and the grassy hillsides. This bird walk will be approximately one mile long at a slow to moderate pace, depending on where and how often we're seeing birds. The terrain is gentle, over a variety of surfaces. People of any birding skill level are welcome. We'll expect to see dozens of species in a variety of habitats, with likely sightings of: White-tailed Kite, Red-shouldered Hawk, California Quail, Western Scrub-jay, Western Bluebird and possible nesting Black-headed Grosbeaks and orioles. If you have binoculars please bring them; if not, loaners will be available. Walk will begin near Garden entrance. Walk is $5 for Garden members/$10 non-members. Please RSVP. For more information and to RSVP contact education@slobg.org. County Parks charges a $3 parking fee weekends, April – September. Carpool and save! You may not consider winter to be a great time to get out and garden, but here on the central coast, it IS! There are many winter chore that you can do now to make spring gardening a wonderful and easy treat. 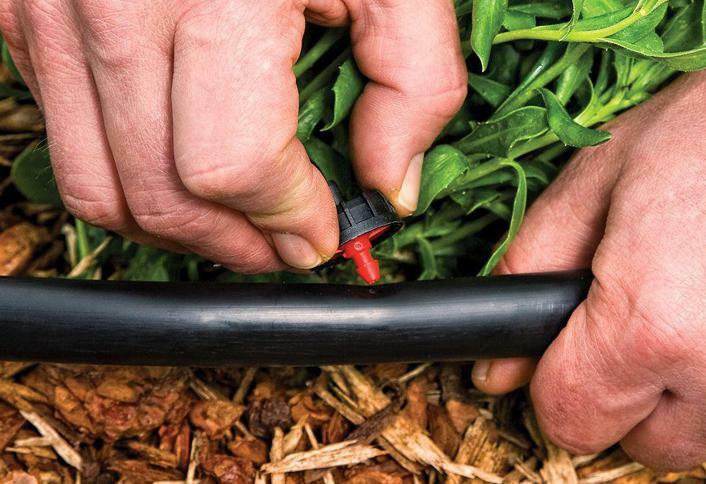 From pruning, mulching, seed starting, and tool maintenance, you’ll find there are many ways to stay busy in the garden over winter. Join us at the San Luis Obispo Botanical Garden on Saturday, December 7 from 1 PM to 2 PM to learn more about keep your garden in excellent shape this winter season. Kim McCue's family returned to Paso Robles in 1997 so their children could grow up in a small town. After many years of volunteering with PTA, Girl Scouts, etc., Kim finally had enough free time to enroll in the Master Gardener program in 2012 – something she’d wanted to do for a long time. Kim love all aspects of gardening, with the exception of heavy weeding. Her home garden includes vegetables, fruit trees, blueberries, succulents, CA native plants, roses and more. She loves the fabulous people in the Master Gardeners organization, continual learning, and meeting new people at workshops. Join us at the San Luis Obispo Botanical Garden on Friday, April 12 from 5:30pm to 7:30pm as Violet Sage Walker prepares a unique experience in Chumash culture and local plant ecology, join us in learning about relationships with food and medicine plants and how we can understand the benefits of herbal salves. Explore traditional use of native and non-native herbs, learn ethical harvesting techniques, and ecology from an Indigenous perspective. Leave with a new appreciation and understanding of the Chumash people, native and non-native healing herbs, and the earth to beauty-counter cycle. Attendees will also take home a sample of the healing salve customized for each student. Light refreshments provided. Pre-registration is required for this intimate offering. The workshop is $45 Garden Members / $55 public. It’s time to add some new color to your garden, let us help find the perfect plant for your yard! The Garden features charismatic colorful plants that make a great statement without affecting your water bill. Check out the Plants we’ve grown this year and what’s available HERE! Join us at the San Luis Obispo Botanical Garden’s semi-annual plant sale on March 30 from 10 AM to 1 PM, with a Garden Members Only Hour starting at 9 AM, and free admission into El Chorro Regional Park for everyone! 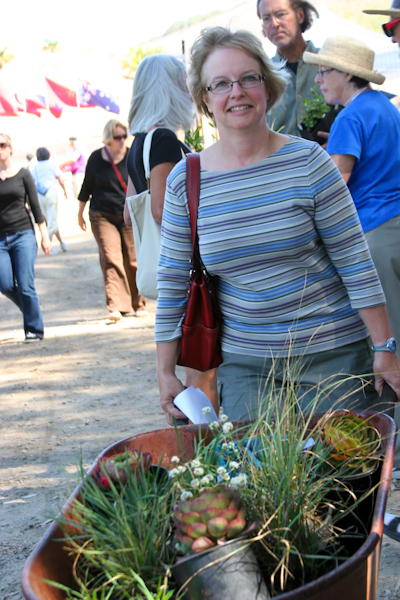 Learn something new– This is more than just a plant sale! It is an opportunity to learn more about your climate region and see a multitude of plant species that thrive in such a climate. San Luis Obispo is in one of the five mediterranean climate zones spread throughout the world and you will find plants from these zones showcased in our beautifully landscaped garden. Plants from these mediterranean zones are well suited to our climate and are drought resistant, so be sure to wander through our Garden to get inspiration for your own landscaping! Get expert advice– Are you having specific plant problems? Do you need advice for your garden? Come talk with our experts and find out what plants would work best for your situation. And don’t forget to grab a free cup of coffee to sip on while you “talk garden”! Find great deals– Pay reasonable prices and support a good cause at the same time! We rely on our members and guests to support us and our work in the community. All plants will be TAX-FREE to the public from 10 AM to 1 PM. Garden members not only get an hour of Garden Members Only shopping for the best selection, they also get an additional 10% off all plant purchases! Come back– Make sure to keep visiting; watch and learn as the garden changes. To keep up to date you can subscribe to our e-newsletter to find out about upcoming events and classes. For more information call at 805.541.1400 or education@slobg.org. Join us at the SLO Botanical Garden as we explore the ancient art of pine needle basket weaving in the Oak Glen Pavilion on Saturday, March 2 from 9:30 AM to 2:30 PM. Just bring sharp scissors, imagination and a bagged lunch, as Ms. Bear provides all materials and her masterful insight. Each participant will make their own basket and start a second basket to work on at home. Workshop also includes a lecture on sustainable harvesting and tree kindness. Workshop is $100 for Garden members / $130 for non-members. Pre-registration required. For more information, photos, and to register, call 805.541.1400x303 or use the above button. How do you know if all those insects in your garden are beneficial or harmful? How do you promote beneficial insects, and remove the bad bugs? Don’t worry, we’ve got an expert entomologist and UC Master Gardener to help you identify and share the how’s and what’s of garden pests so you can enjoy a healthier garden! Join us at the San Luis Obispo Botanical Garden on Saturday, February 23 from 1 PM to 2 PM to learn more about these invertebrate creatures, how to control them, and how to encourage their predators. Norman Smith is a UC Master Gardener at the San Luis Obispo Ag Extension. He specializes in insects, both good and bad, found in gardens on the central coast. Norman writes about insects for the Master Gardener’s educational blog “Diggin’ it in SLO”. Sharing nighttime dreams with a trusted group of peers offers health and wholeness not only to the individual dreamer, but to the community. Dreams certainly connect us to our authentic selves, and when shared with others, they can also foster a healing in society. Naturally occurring in our sleep, dreams bring forth–in metaphorical candor–the most important social and cultural issues of the day. When dreams are shared and appreciated by others, a wonderful and intimate discussion ensues. Participants sense commonality and consensus and, at the same time, realize unique soul perspectives. Join us for this weekly group exploration. All proceeds from this workshop series will go to support the good work of Outside Now Nature Connection Education and SLO Botanical Gardens! Marie McRee has spent the last 13 years dreaming into how best to facilitate our connection to nature and each other. Her role as advisor at Outside Now has allowed for a treasured collaboration. Time on the land, her studies with Regenerative Design Institute, 8 Shields Institute, and Weaving Earth; where she also spent several years as staff have expanded her abilities to mirror, reflect, and listen deeply to what she hears in dreams. Torrey Byles is a certified Dream Group Facilitator, trained by the Marin Institute of Projective Dreamwork. He studied under internationally renowned dream psychologist, author, and UU minister, Jeremy Taylor, and his wife, Kathryn. He has lead dream groups in CA, Oregon, and Hawaii and has been a teaching assistant in dream work at UC Berkeley Graduate Theological Union and Sonoma State University. He holds a Masters degree in Economics and Environmental Studies from Southern Oregon University and a BA in Economics from UC San Diego. Spend a relaxing evening learning the basics of macrame! This workshop will be taught by Lindsey Altman of Tied & True Goods, a macrame artist based here on the central coast. You'll master the basic knots & make your very own macrame plant hanger, hung on driftwood found along our beautiful coastline. Join us for a visual exploration of the unique, the hardy, the rare and the beautiful plants of South Africa, with the curator of the Huntington Desert Garden, John Trager, Saturday January 12th at 1 PM, at the San Luis Obispo Botanical Garden. South Africa’s west coast is one of the five Mediterranean climate regions of the world. It is also a biodiversity hotspot for succulent plants. Some of these succulents are favorites of gardeners and collectors, while others are rarely-grown species found in only a few specialized collections, or are not in cultivation at all! 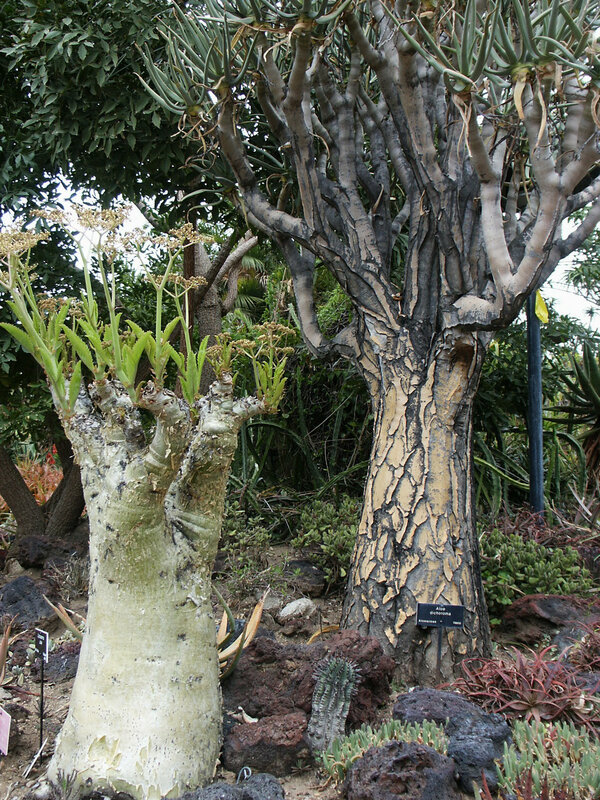 This program surveys the rich diversity of South African succulents, and explores the special climatic conditions and adaptations that allow these plants to survive. Discover the unique species successfully grown in a Californian garden, as well as the wide array of South African species growing in their natural habitat. The Huntington Desert Garden is nearly 100 years old, features more than 2,000 species of succulents and desert plants in sixty landscaped beds. 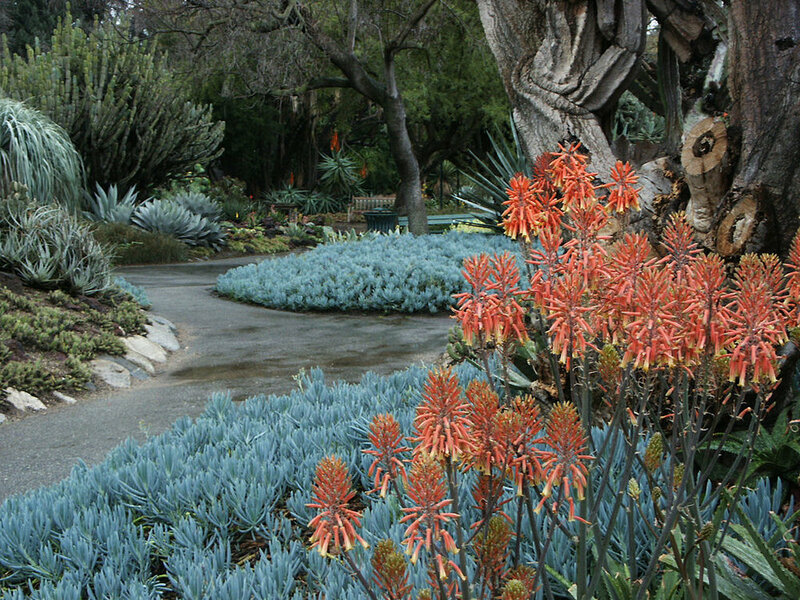 This 10-acre garden display is the Huntington’s most important conservation collection and is home to an Aloe (Aloaceae) collection, constituting one of the largest collections outside Africa. Presentation is followed by a free Docent-Led Garden Tour of the San Luis Obispo Botanical Garden at 2:15 PM. John Trager is Curator of the Desert Collections at the Huntington Botanical Gardens in San Marino, California where he has worked since 1983. Trager’s horticultural writings have appeared in the Cactus and Succulent Journal, the Euphorbia Journal, and various other horticultural publications. He is perhaps better known for his photography - over 2000 of his images have been published in numerous textbooks and horticultural journals. John has traveled widely in search of plants (and insects). He holds a bachelor’s degree in Horticulture from Cal Poly Pomona and earlier studied Botany at UCSB and Santa Barbara City College. This presentation has been canceled until the acorns are more abundant. Are you curious about the tasty little acorns filling the trees and falling to the ground? If you’ve wanted to try eating these nutritious nuts, the wait is almost over! Join us for the Autumn Chumash Kitchen to feast on wild harvested acorns, nuts and berries incorporated into gourmet recipes Saturday September 22, from 9:00am to 1:30pm at the San Luis Obispo Botanical Garden. Enjoy a celebration of Bounty with singing, games, and a short walk up Eagle Rock Trail to visit Chumash grinding stones on site. Chumash chef and herbalist, Violet Cavanaugh and special guests will discuss the history of the local sacred space and share a beautifully prepared, seasonal brunch featuring wild salmon. This immersion into Chumash culture will leave you connected and nourished. Please wear shoes appropriate for a short hike. For more information and to register, visit slobg.org. Email education@slobg.org for any food restrictions. Pre-registration is required for this intimate offering. The autumn Chumash Kitchen program is offering a sliding scale of $88-$120 per participant. We ask that you select the price option that works for your budget. **A special 2-day option is available. *Friday September 21 from 10am – 1pm, join Violet in the kitchen at the SLO Botanical Garden to learn and help process wild foods in preparation for the Saturday offering. This hands-on and in-depth work-trade is offered for an additional $25 and is open to the first ten people who select the “+prep day” in the sliding scale drop-down payment menu. 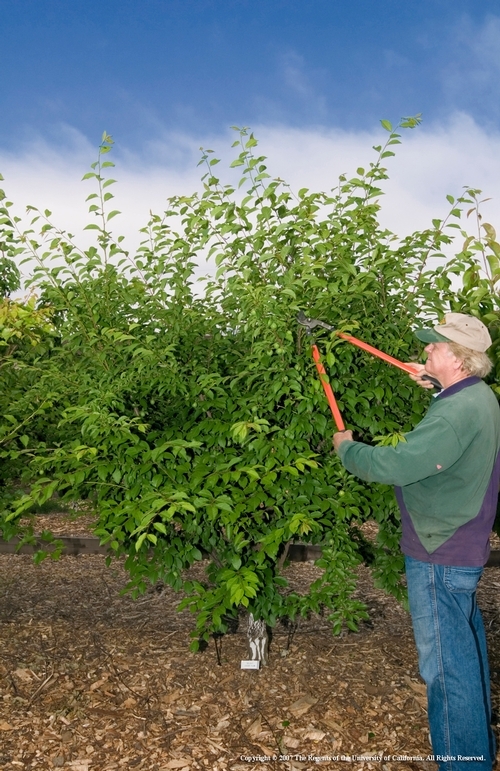 Make the most of your fruit trees by pruning them to their full potential. Pruning some of your fruit trees in summer can help maintain a strong tree structure, reduce disease, invigorate the remaining buds, and grow delicious fruit! Join Master Gardener, Charles Davis, to learn how to beautifully prune and care for your fruit trees with confidence. His talk at the Botanical Garden will include information on how to properly care and maintain fruit trees, followed by a demonstration of fruit tree pruning of selected fruit trees in the Botanical Garden. You can print out the below handout before the presentation to follow along. Download the FREE Master Gardener fruit tree pruning handout. Suggested $5 for members/$10 non-members. For more information email education@slobg.org. Charles Davis has spent his adult life growing fruit trees and roses in California, Arizona and New Mexico. When he retired and moved to the Central Coast in 2006, he enrolled in the University of California’s Master Garden Program and has spent 10 years in a number of capacities with them, serving as treasurer, vice president and president of the SLO Country Master Gardeners. Since 2009 he has been the lead gardener in the Master Gardeners’ Demonstration Garden’s Fruit and Nut Orchard in SLO and regularly conducts public workshops there on winter and summer pruning of deciduous fruit trees, as well the care and maintenance of citrus trees. Camp is full this summer. We hope you'll join us next year! 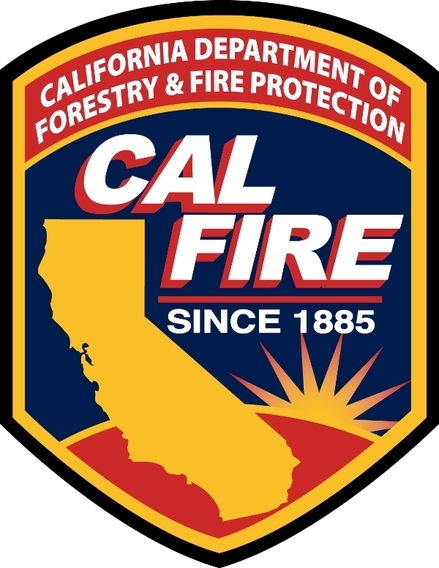 This unique day camp for 2nd-5th grade children focuses on our unique California climate zone, while scientifically studying our local environment. Using hikes, gardening, herbal crafting, art, cooking, and other hands-on activities, campers discover the relationship between plants and people. Camp runs from 10am - 3pm. Extended day is available from 9AM to 4PM. Register Online Here, or download and email the Registration Form. We’ll provide snacks, but please bring a bagged lunch. Camp is $165 for garden members, $195 for the public. Scholarships are available! See below for more information. Check out picture from 2017’s Summer Camp! Kid’s Adventure Camp scholarships are sponsored in part by Central Coast Funds for Children. To apply for a scholarship download and complete the Camp Scholarship Application and submit to education@slobg.org. Rare Plant Rescue: Why uncommon plants matter, and what we’re doing to save them! Dr. Heather Schneider is the Rare Plant Biologist at the Santa Barbara Botanic Garden where she is involved in research, conservation, outreach, and manages the conservation seed bank. 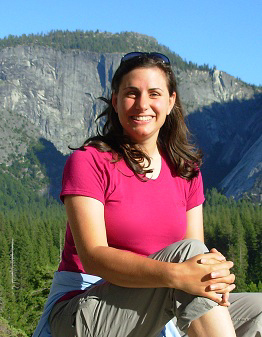 She holds a PhD in botany from the University of California, Riverside and has worked across California and the American West on topics such as ecology, evolutionary biology, conservation, invasive plant science, and desert tortoise biology. 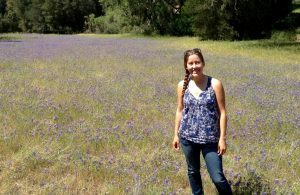 She sits on the Board of Directors for the California Invasive Plant Council and is a Conservation Officer for the Center for Plant Conservation. In her free time, Heather can be found frolicking through fields of wildflowers and nose to the ground in search of belly flowers.